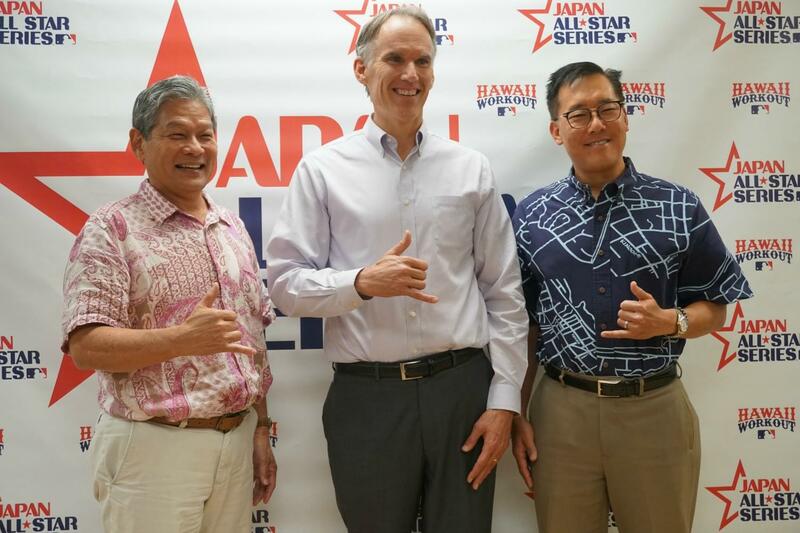 HONOLULU (Sept. 27, 2018) — Hawaii residents will soon have a chance to meet and greet their favorite Major League Baseball (MLB) players as the 2018 Japan All-Star Series stops in Hawaii for the first time on its way to Japan. Led by Marlins manager, Don Mattingly, the MLB team features Cardinals catcher Yadier Molina, Reds third baseman Eugenio Suárez, Brewers outfielder Christian Yelich, Braves National League Rookie of the Year Award candidate Ronald Acuña Jr., Phillies teammates Rhys Hoskins and Carlos Santana, Royals second baseman Whit Merrifield and Dodgers infielder/outfielder Chris Taylor. The remaining roster will be announced in the coming weeks. Major Leaguers will spend three days on Oahu from Nov. 3–5, holding a series of public events, completing a community service project at Kahauiki Village, and taking in the local sights before heading to Japan to participate in the All-Star Series exhibition games. The public is invited to attend two workout sessions at the University of Hawaii Les Murakami Stadium on Nov. 3 and 4 ($15–$25 per person; tickets on sale at HNLTix.com). Keiki ages 5–12 will have the opportunity to play ball with their baseball heroes at an invitation-only PLAY BALL event sponsored by MLB on Nov. 3. Following their time in Hawaii, the players head to Japan for seven exhibition games throughout Tokyo, Hiroshima and Nagoya. 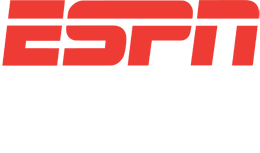 The 2018 Japan All-Star Series marks the 37th time that Major Leaguers have toured Japan in partnership with Nippon Professional Baseball. 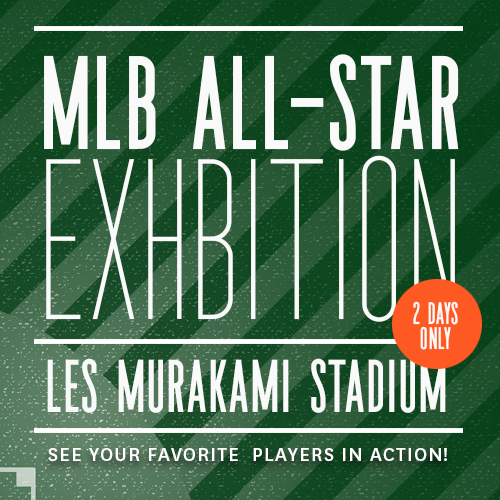 The exhibition will showcase Japan’s rich baseball culture and build anticipation for the Japan Opening Series in March 2019, featuring the Oakland Athletics and Seattle Mariners opening the 2019 Championship Season.